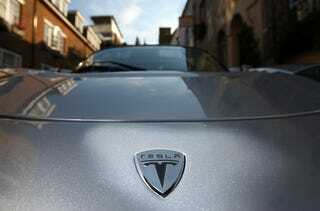 How Long Can Tesla Continue To Hemorrhage Cash? Tesla Motors reported a loss of $34.9 million for the third quarter, with sales down to $31.2 million from $45.5 million. Guess there's not much of a growing market for over-priced electric kit cars. How long can this keep up? "Given Tesla's plans to spend heavily in the next nine quarters to get the Model S sedan into production, attaining quarterly profitability isn't a goal. We're very focused on long-term profitability." And, since Musk is still claiming the Model S sedan remains on track for a mid-2012 launch, we guess that means at least another five or six quarters of $30 million-plus losses. We're wondering how long investors will stay on a ship bringing on that much water.